It’s leprechaun time! Rainbows, pots of gold and dancing leprechauns…it’s time for St. Patrick’s Day! Get your kids thinking and celebrating St. Patrick’s Day at home or at school! 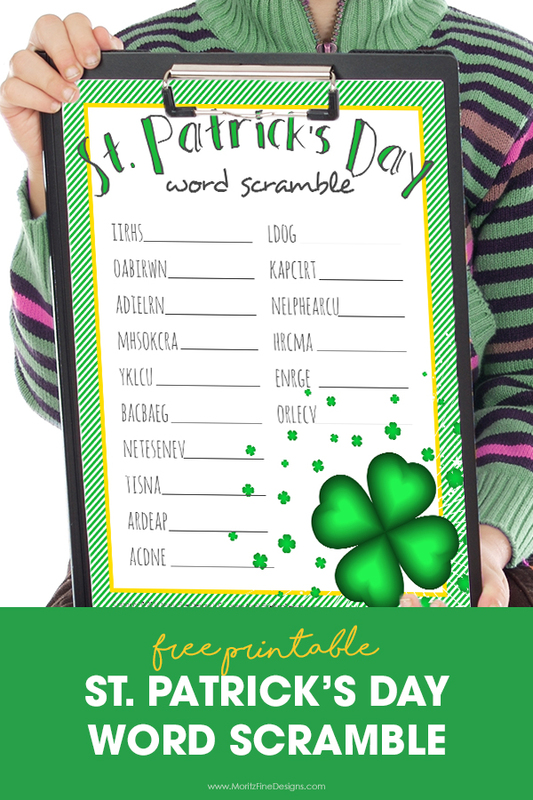 Kids will have so much fun trying to unscramble the words in this free printable St. Patrick’s Day Word Scramble! This is a fun activity to do at home or at school, it will make kids unscramble the words and use their brains to figure out what the key St. Patrick’s Day words are! 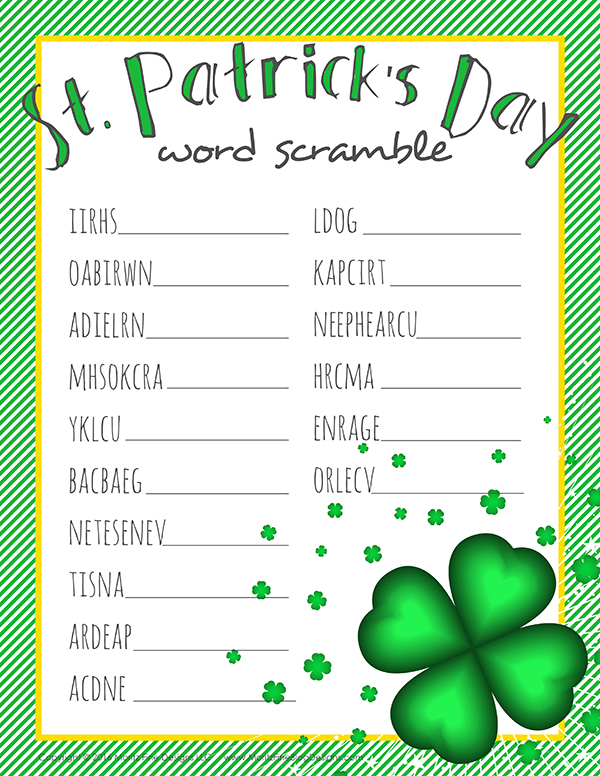 Download the St. Patrick’s Day Word Scramble from the link below. Be sure to grab our St. Patrick’s Day 5-Minute Snacks and also check out the awesome St. Patrick’s Day Fonts. So sorry about that Carolyn! I just emailed you an updated version! We had the same problem and just decided to check here to see what the answers were! Glad we did!! Hi I could not download the link from my email and is there an answer key? Sent you an email, Gigi. Thank you! But two of the words are incorrect: leprechaun has no “l” and green has an “a” in it. The lastest version I sent has the words spelled correctly. I’ll send it again. I Can’t access the answer key even the I signed up to download? I just added the key to the bottom of the post! Can I have the updated version as well? Just sent you an email, Dottie! Can I please have an updated version where Leprechaun and Green will be spelled correctly? Could I please have the updated version with the correct spelling and answers please? Thanks so much! The correct version will be emailed to you if you click the download button on this post!